If there is one global problem that everyone of us can relate to every single day of our lives, it is the problem concerning energy. We need energy from whichever source it may come from to power our homes, vehicles, factories, equipment, devices, and others so that our society and economy can function in this day and age. As we look and see the structure how our energy needs are being met, there is a constant uneasiness with knowing that sources are not spread out evenly. The world’s main source of energy is fossil fuels mostly found in the Middle East and several other countries. This situation has put us at the mercy of events that may affect our supply of oil from that part of the world. Many countries have realized how dangerous this setting could become. The US, for its part, has maintained oil reserves for emergency purposes. This is not helped by the recent wars and uprisings in that region on top of some unstable governments which endangers peace and order. The result is felt by everybody as oil price increases cause not only the transportation cost to rise but also the cost of food, basic needs and everything else in between. With this in mind, the Philippine government has embarked on a strategy similar to what other countries have aimed for themselves to solve the problem. That strategy calls for the achievement of energy independence. Although this goal would really make a lot of sense as a strategy, energy independence is a challenge. If independence means being totally free from the need to export fossil fuels then we still have a long way to go. But recent developments indicating success in projects aligned to this objective show signs of hope. One of the projects which proved to be very successful is the Malampaya Deep Water Gas-To-Power project. 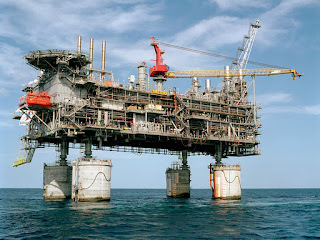 Arguably the largest and most expensive industrial undertaking in the country’s history, the Malampaya project was done to extract natural gas from below the seabed off the coast of Palawan as new fuel and energy source. 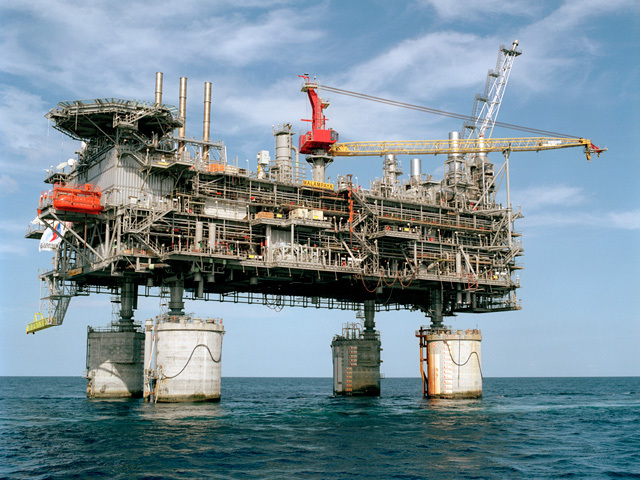 It was made possible through a 4.5 billion US$ joint venture between Shell, Chevron and PNOC. With recoverable reserves of 3.2 trillion cubic feet of natural gas, Malampaya produces 400-450 million cubic feet of gas per day for an expected lifetime of 20 years. These gas extracted from the seabed is being transported through a 504 km undersea pipeline to a natural gas refinery in Batangas. The refinery in turn feeds three gas turbine power plants with a total generating capacity of 2700 megawatts supplying 30 percent of the Philippines’ total power demand. Since the start of Malampaya’s operations in January of 2002, the Philippine government has earned around 5 billion US$ of revenue from royalties stipulated in the agreement which entitles it to 60% share of net revenue. The project is now on its tenth year of operation which is halfway its 20 year life span. This puts the government earnings right on target since the total expected earning is at least 10 billion US$ for the 20 year period. As I write this, the second and third phases of the project is underway to drill more wells and extend the life of Malampaya further until 2039. All of the efforts and the success of the Malampaya project so far have brought the Philippines closer to its aim of energy independence. As more natural gas is produced to generate electric power, the demand for imported oil diminishes. Even if total independence is still out of our reach, Malampaya has provided the country with a working model of how we can get to that point. A lot of people have stated how rich our country is with its natural resources. Enabling our capability to produce our own energy is something doable because of this fact. Besides natural gas we have renewable energy resources at our disposal which we have not taken advantage of quite as much. We are at the forefront of geothermal power in the world second only to the US. We have been able to build hydroelectric, solar and wind power plants in the past. We can do so again in the future until we get the independence we need to get our country to a much better place.